In an evening of Austrian and German delights, the Asheville Symphony presents a program including Beethoven, Mozart and Schumann on Saturday, October 13 at 8 p.m. The concert takes place at Thomas Wolfe Auditorium in downtown Asheville, under the baton of Music Director Darko Butorac. The program opens with Beethoven’s Egmont Overture, which Maestro Butorac describes as “a microcosm of all the traits we love about the great composer — powerful, direct, full of contrast, and imbued with a revolutionary spirit.” It is a musical depiction of the hero’s journey, moving from dark and chaotic tones to blazing heroic victory. 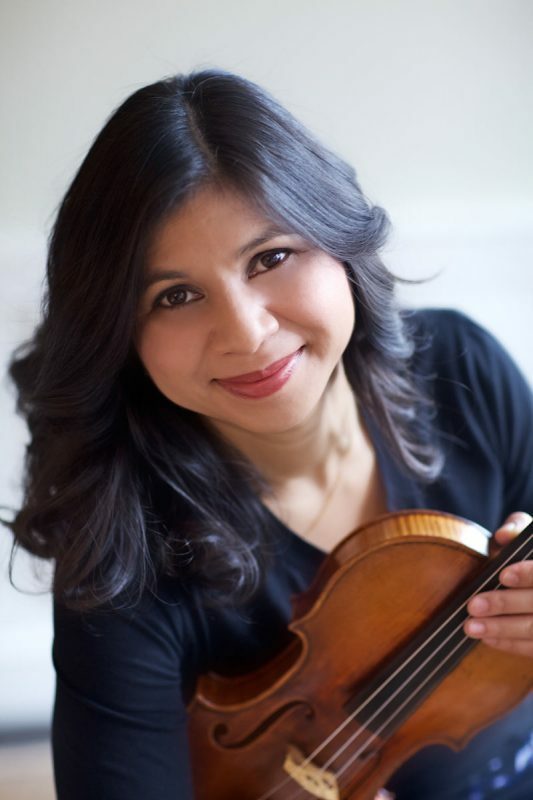 Next, violinist Adele Anthony joins the orchestra for Mozart’s “Turkish” Violin Concerto. Since her triumph at Denmark’s 1996 Carl Nielsen International Violin Competition, Anthony has enjoyed an acclaimed and expanding international career. The “Turkish” Violin Concerto combines warmth and sprightly humor with violin athleticism, providing a light contrast to the two bolder works on the evening’s program. Single tickets for Masterworks concerts are $24–69, depending on seating section (reduced youth pricing is available). Season subscriptions and ticket packages are also available. Tickets can be purchased online at ashevillesymphony.org, by phone at 828-254-7046, in person at the Asheville Symphony office at 27 College Pl., Suite 100, or at the U.S. Cellular Center Box Office. The Asheville Symphony Orchestra performs and promotes symphonic music for the benefit, enjoyment and education of the people of Western North Carolina. The ASO presents concerts in the 2,300-seat Thomas Wolfe Auditorium in Asheville’s U.S. Cellular Center. Related organizations include the Asheville Symphony Guild, Asheville Symphony Chorus, Asheville Symphonettes, and education initiatives such as the Asheville Symphony Youth Orchestra, Music in the Schools, MusicWorks, Spotlight on Young Musicians, Symphony Talks, and pre-concert lectures. Saturday, October 13, 2018 • 8 p.m.